Few keys like i, k and l are not working for my login. These keys work at login screen and for other users. Had a conversation with Apple support online chat and we went thru the following but issue is not resolved yet. During the process, app representative asked me to create new login and try and it worked. Wondering if you have seen this issue on your Macbooks. I have so much data in my login and I haven't thought about it moving data to new login. 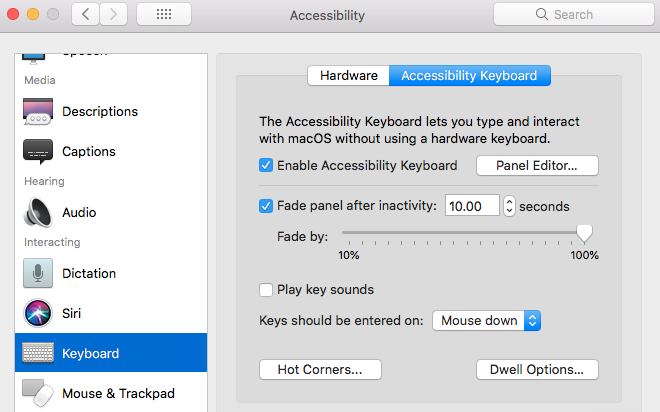 Go to system preferences/accessibility/mouse & trackpad and uncheck the box for Enable Mouse Keys. simply, switch to guest account,go to system preferences..see image attached. Then switch back to user account and login using virtual keyboard. I do it everytime. I had to bring in a new 2016 Macbook Pro (no touchbar) after a few weeks due to keys not working, sticking, etc. This is a known issue. Apple Store gave me a new unit after they had to send mine out and it was over 5 days and still no idea when it was coming back. Another culprit is using Real VNC viewer. While running (even when you're not connected) it seems to take over SOME of the function keys. For me it was everything but F3 and F4. Killing Real VNC fixed the problem immediately. My n key was not working - took it to the Genius Bar and they are giving me a new computer. 2017 MacBook Pro with Touch Bar. N key would skip sometimes and sometimes repeat. Apple said they wanted to keep mine “to evaluate in order to improve products and services.” Called it the “capture program.” Supposed to get the new unit today, and it will have a 1 year warranty but I am purchasing the Apple Care Plan for dang sure. Genius bar person took only a minute to figure this out. It turned out be Mouse Keys. I am surprised that the person I chat for couple of hours didn't know this. Not the answer you're looking for? 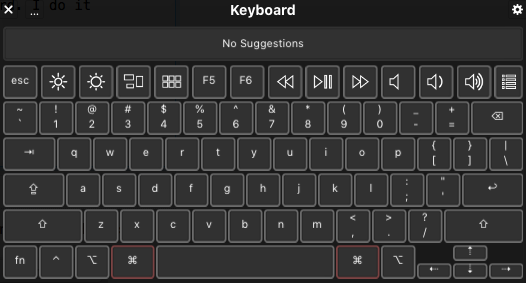 Browse other questions tagged macbook mac keyboard sierra touch-bar . MacBook Pro with Touch Bar; switch between F keys, app controls and control strip? How to fix MacBook Pro (2018 13") Keyboard lag?